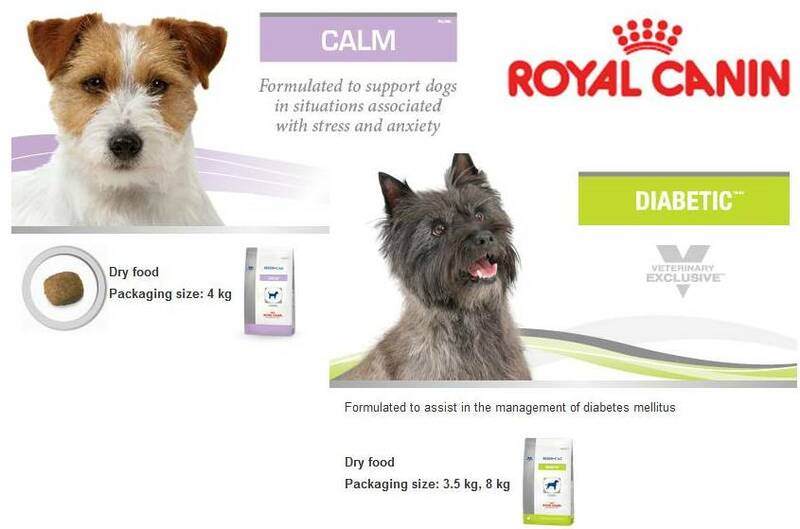 Is the Prescription Dog (Cat) Food Sold in Veterinarian’s Offices Good or Bad for Your Dog (Cat)? Hill’s Prescription Diet, Royal Canine Veterinary Diet, Purina Veterinary Diet, etc. Examples of Veterinarian prescribed food that you should not feed your dog, cat. What they are taught in university is, for the most part based on material prepared by the big pet food manufacturing companies. First– Did you know that the standard 4–year long university course required to become a Veterinarian only includes about 50 hours of course time spent on pet nutrition? That is equivalent to about 1 week of study over the span of 4 years. Second – During that week of studya large portion and often 100% of the material studied(research material, text books, study aids and even the course material) is sponsored by and often supplied to the university by the big-name pet food manufacturers such as Royal Canine, Hill’s and Purina? While at first glance this might seem ok – its not, and here is why…The material prepared by these companies is very biased – not objective, not truthful and not factual. This means that the veterinary students – in their brief one week of nutritional study do not get to learn about real nutrition, they only get exposure to very limited information based on skewed data and misrepresented information. Thirdly– While studying veterinary sciences at the university the pet food manufacturer offers pet food products at a greatly discounted price or for free to the student for his/her pet;Fourthly – Upon graduation veterinarians are given financial incentive to endorse and stock the product of the company that supplied their university with ‘study’ material and food freebees.Fifth – Read more here to understand why many conventional Veterinarians do not have a viable knowledge of nutrition. Just how much perspective (non-biased understanding) and comprehensive depth of knowledge does the average veterinarian have? Well, in most cases very little and what they do have may be very biased in favour of a specific company’s product (i.e. 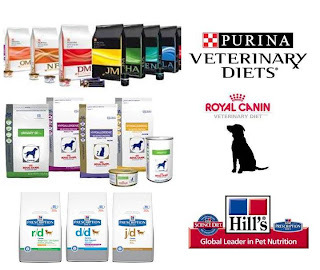 Hill’s Science Diet, Royal Canine, Purina, etc.). Suffice it to say that the veterinarian student – now a practicing veterinarian really never had the opportunity to learn about real nutrition – not the students fault! 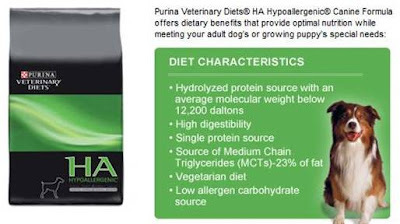 While there are most definitely some conventional practitioners of veterinarian medicine that have a proper knowledge of nutrition their are many more veterinarians that do not have a viable understanding of nutrition and diet.This lack of knowledge is evidenced by the dog and cat food sold by many veterinarians. 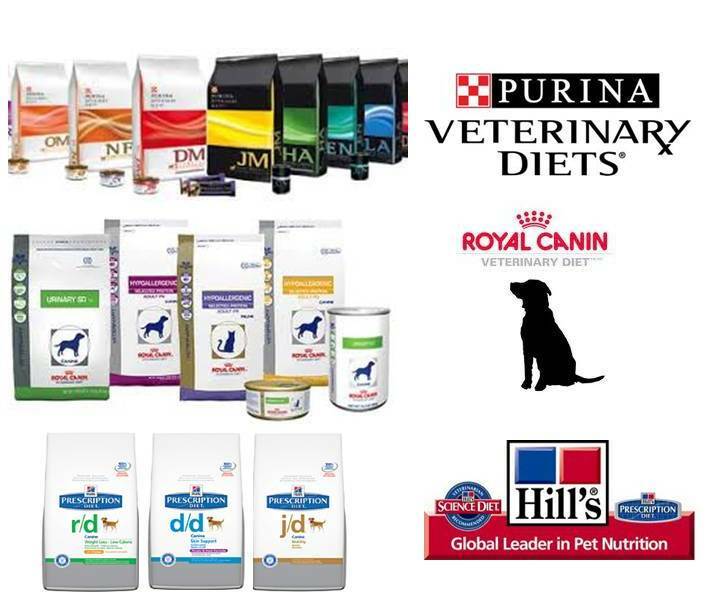 The food purchased by pet owners from their Veterinarians is sold at an elevated price – I have client’s that (prior to working with me) were paying $100 or $150 for bag of food. While that might not be a bad thing if the food was truly ensuring the health of their pet, the problem is that the food can have ingredients in it that have an adverse effect on your companion animals’ health. 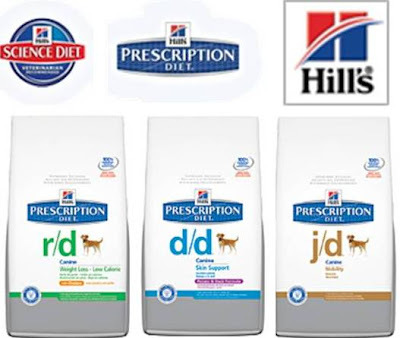 It is also important to understand that the majority of these ‘Prescription Diets’ are no different in quality and certainly not better in content than many of the non-Prescription Diet foods sold in pet stores. A good understanding – even a basic understanding, of what compromises good nutrition is an essential building block for companion animal health. Fleas, ticks, other parasites is a strong immune system. The Omega-3 to Omega-6 ratio is wrong (no dry dog food provides a properly balanced ratio of 3:6 fatty acids). Some of the toxins are bioaccumulative and are absorbed by the body (often by fat cells) at a faster rate than they can be eliminated by the body. I see dogs that have been diagnosed with renal issues, that have been placed on veterinarian prescribed dry dog food that will actually make the dogs condition worse! Why will the food worsen the dog‘s condition? The food also contains known carcinogens. I see dogs that are diagnosed with allergies and then placed on dog food that contains preservatives that are known to cause allergies. And why does the veterinarian sell the food and not realize what damage his/he recommendation is doing? He/she is not doing this with intent to harm the dog or cat…it is simply that the veterinarian did not have the opportunity to learn about the realities of the pet food industry and about proper nutrition. Many of these prescription foods contain ingredients that are not good for your dog’s health. The following provides some examples of extremely health-harming ingredients that are often found in prescription veterinarian recommended foods. These are only a few of the health and life threatening ingredients found in these products. Below the list are examples of some of these prescription diet food products with SOME of the health and life threatening ingredients highlighted. It is a grain derivative. Corn is a readily available and very inexpensive filler. For more information on the dangers of feeding your dog food that includes corn and corn derivatives read here. As a fibre to move food through the digestive tract. There are much better forms of fibre however by using powdered cellulose the pet food manufacturer can save up to 30% of the cost of using better ingredients. GMO soy comes with many health risks that effect both health of body and mind – for more information on the dangers of feeding your dog food that includes soy and soy derivatives read here. Protein from good quality meat, legumes such as lentils and chickpeas. Gluten free, so Tapioca can be used as an alternative to wheat flour when the presence of gluten can exacerbate a health condition. TBHQ is a chemical based toxic, carcinogenic preservative – read about all its life threatening health effects here. Wheat is added to dog food as it is an inexpensive source of carbohydrates. Wheat Gluten is the protein part of the wheat kernel. Brewer’s Rice, Chicken Meal, Corn, Chicken Fat, Wheat Gluten, Wheat, Chicory, Natural Flavour, Salt, Vegetable Oil, Fish Oil, Calcium Sulphate, Potassium Chloride, Sodium Silico Aluminate (Zeolite), Fructo-Oligosaccharides, Sodium Tripolyphosphate, DL-Methionine, Taurine, Choline Chloride, Vitamins [DL-Alpha-Tocopherol (Source of Vitamin E), Inositol, Niacin, L-Ascorbyl-2-Polyphosphate (Source of Vitamin C), D-Calcium Pantothenate, Biotin, Pyridoxine Hydrochloride (Vitamin B6), Riboflavin (Vitamin B2), Thiamine Mononitrate (vitamin B1), Vitamin A Acetate, Folic Acid, Vitamin B12 Supplement and Vitamin D3 Supplement], Dried Hydrolyzed Casein, Marigold Extract, Trace Minerals (Zinc Proteinate, Zinc Oxide, Ferrous Sulphate, Manganese Proteinate, Copper Proteinate, Copper Sulphate, Manganous Oxide, Calcium Iodate and Sodium Selenite), L-Tryptophan and Rosemary. Naturally preserved with Mixed Tocopherolsand Citric Acid. Soy and soy by products (vegetable oil, mixed tocopherols) contain endocrine disruptors which can lead to thyroid problems which is associated with anxiety and behavioural problems. Chicken meal, barley, corn gluten meal, powdered cellulose, wheat gluten, tapioca, dried beet pulp, chicken fat, natural flavors, fish oil, psyllium seed husk, potassium chloride, salt, fructooligosaccharides, choline chloride, taurine, vitamins [dl-alpha tocopherol (source of vitamin E), L-ascorbyl-2-polyphosphate (source of vitamin C), biotin, D-calcium pantothenate, vitamin A acetate, niacin, pyridoxine hydrochloride (vitamin B6), thiamine mononitrate (vitamin B1), vitamin B12supplement, riboflavin (vitamin B2), folic acid, vitamin D3supplement], trace minerals [zinc proteinate, zinc oxide, ferrous sulfate, manganese proteinate, manganous oxide, copper sulfate, calcium iodate, sodium selenite, copper proteinate], L-carnitine, marigold extract (Tagetes erecta L.), rosemary extract, preserved with natural mixed tocopherolsand citric acid. Corn starch, hydrolyzed poultry by-products aggregate, coconut oil, soybean oil, natural flavors, potassium phosphate, powdered cellulose, calcium carbonate, sodium silico aluminate, chicory, L-tyrosine, fructooligosaccharides, fish oil, L-lysine, choline chloride, taurine, L-tryptophan, vitamins [DL-alpha tocopherol (source of vitamin E), inositol, niacin, L-ascorbyl-2-polyphosphate (source of vitamin C), D-calcium panthotenate, biotin, pyridoxine hydrochloride (vitamin B6), riboflavine (vitamin B2), thiamine mononitrate (vitamin B1), vitamin A acetate, folic acid, vitamin B12 supplement, vitamin D3 supplement], DL-methionine, marigold extract (Tagetes erecta L.), histidine, trace minerals [zinc proteinate, zinc oxide, ferrous sulfate, manganese proteinate, copper proteinate, copper sulfate, manganous oxide, calcium iodate, sodium selenite], rosemary extract, preserved with natural mixed tocopherols and citric acid. Whole Grain Corn, Corn Gluten Meal, Chicken By-Product Meal, Powdered Cellulose, Soybean Mill Run, Chicken Liver Flavor, Chicken, Dried Beet Pulp, Soybean Meal, Lactic Acid, Soybean Oil, Caramel Color, L-Lysine, Potassium Chloride, DL-Methionine, Iodized Salt, Vitamin E Supplement, Choline Chloride, vitamins (L-Ascorbyl-2-Polyphosphate (source of vitamin C), Vitamin E Supplement, Niacin, Thiamine Mononitrate, Vitamin A Supplement, Calcium Pantothenate, Biotin, Vitamin B12 Supplement, Pyridoxine Hydrochloride, Riboflavin, Folic Acid, Vitamin D3 Supplement), minerals (Manganese Sulfate, Ferrous Sulfate, Zinc Oxide, Copper Sulfate, Calcium Iodate, Sodium Selenite), Taurine, L-Carnitine, preserved with Mixed Tocopherols & Citric Acid, Phosphoric Acid, Beta-Carotene, Rosemary Extract. Whole Grain Corn,Chicken By-Product Meal, Flaxseed, Soybean Mill Run, Brewers Rice, Soybean Meal, Pork Fat (preserved with mixed tocopherolsand citric acid), Chicken Liver Flavor, Powdered Cellulose, Fish Oil, Lactic Acid, Potassium Chloride, L-Lysine, Calcium Carbonate, Choline Chloride, Iodized Salt, DL-Methionine, Vitamin E Supplement, vitamins (L-Ascorbyl-2-Polyphosphate (source of vitamin C), Vitamin E Supplement, Niacin, Thiamine Mononitrate, Vitamin A Supplement, Calcium Pantothenate, Biotin, Vitamin B12 Supplement, Pyridoxine Hydrochloride, Riboflavin, Folic Acid, Vitamin D3 Supplement), L-Threonine, Taurine, Soy Lecithin, Glucosamine Hydrochloride, minerals (Ferrous Sulfate, Zinc Oxide, Copper Sulfate, Manganous Oxide, Calcium Iodate, Sodium Selenite), L-Tryptophan, L-Carnitine, preserved with Mixed Tocopherols and Citric Acid, Chondroitin Sulfate, Phosphoric Acid, Beta-Carotene, Rosemary Extract. omg for the past 7.5 years I was feeding my yorkie(s) Royal Canine Yorkshire Terrier food thinking she was getting what her appropriate breed needed to be healthy….boy was I fooled and the poor dog had to suffer for my ignorance. Now her vet has her on a canned medical diet food made by Science Diet (which she loves eating by the way) but most likely isn’t good for her. I am so thankful I came across this website. Thank you. I was appalled when I read the ingredients in the dog food our vet prescribed for our dog that has urinary tract problems. I kept telling my husband that dogs don’t eat corn and that the food was loaded with GMO’s and probably had traces of pesticides in it. Your article confirmed what I was thinking. Off to get an organic dog food for our Sophie today! thank you so much for this eye-opening outstanding article!